Screenshot via TeslaThe redesigned Model S.
Responding to robust demand for its just-unveiled Model 3, Tesla on Thursday reintroduced a $66,000 version of its Model S sedan, the Model S 60. The four-door will be available with rear-wheel drive and as an all-wheel-drive Model S 60D. In 2012, Tesla dropped the 60 kWh Model S, then priced at $69,900, from its lineup. With the arrival of the new 60 kWh car, the current Model S 70 — at $71,500 before federal and state tax incentives and fuel savings — will no longer be the Palo Alto-based automaker’s least expensive vehicle. The Model S 70 delivers 234 miles of range on a single charge; the Model S 60 will serve up just over 200. A Tesla representative explained that the decision to revive the Model S 60 was driven by the large number of pre-orders for the Model 3, which was unveiled in March in Los Angeles. 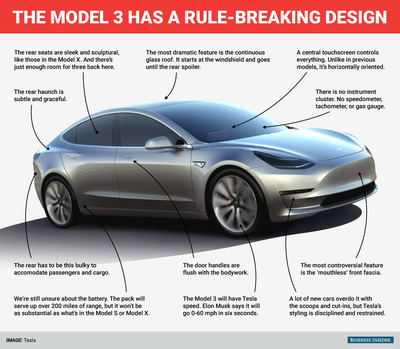 Approximately 375,000 customers put down $1,000 each to be able to purchase the $35,000 car when it arrives in 2017, if Tesla can meet its production plans. According to the company, some customers would rather not wait but are reluctant to purchase either a new Tesla at current prices or a certified pre-owned car. 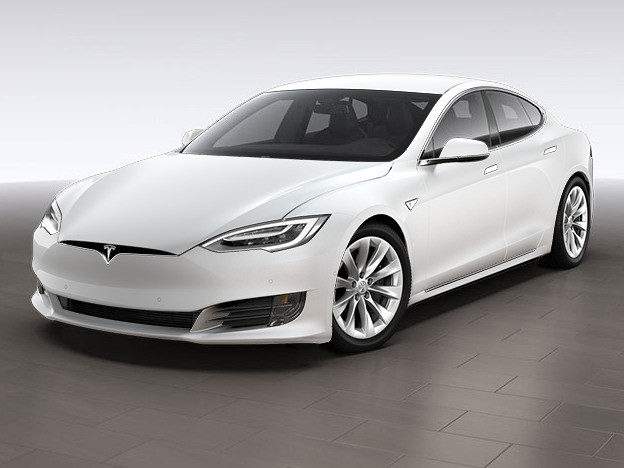 Tesla stressed the new Model S 60 is an improvement over the previous vehicle. It will have faster 0-60 mph acceleration — 5.5 seconds versus 5.9 — Autopilot semi-self-driving capability, and all-wheel-drive, which Tesla didn’t offer until the introduction of it dual-motor system in 2014. The Model S 60 will also have a recently refreshed exterior design — the S will now look like the Model 3, with a smooth front fascia as the most prominent and controversial change — and an upgraded interior. The new trim level, like all current Teslas, will have free access to the company’s Supercharger network, a perk that is likely to disappear with the cheaper Model 3. However, a Tesla spokesperson reiterated the car maker’s recommendation that Superchargers be used only to extend range on longer trips, and that owners should favour charging their cars at home and at work. Tesla analysts and observers might be concerned that by adding new trim level to the Model S lineup, Tesla is undercutting its push to fulfil the massive Model 3 pre-orders and meet CEO Elon Musk’s accelerated goal of 500,000 in annual vehicle production by 2020. However, the less expensive Model S 60 will simply become part of the ongoing order and production flow for the sedan, which was introduced in 2012 and was named Motor Trend’s Car of the Year for 2013. Tesla can certainly use the additional revenue that a car gap-bridging the gap between current production and the arrival of the Model 3 will provide. The automaker has posted huge quarterly losses as it strives to ramp up production, as well as complete construction of a $5-billion battery factory in Nevada.